This week we’re talking to Glitzy, one of our ArenaNet partners. She met her husband, Cameron, in Guild Wars 2. They’re on a legendary journey—both in real life and in game! Interviews have been lightly edited for length and clarity. The commissioned art piece Glitzy shared with us for this article was created by Ever-Evi. Question: How did you meet each other? Glitzy: In late 2015, Cameron joined the guild I was in at the time. 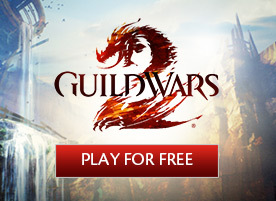 It was just a few months after Guild Wars 2: Heart of Thorns™ was released. After raids were announced, I started recruiting for my own static group. Cameron was one of the first to apply and instantly started helping me out as an assistant leader. Most of early 2016 was us casually chatting and raiding together two or three times a week. During a WvW guild event he whispered to me that he was “smitten.” I returned the sentiment and we began grouping up more often in game. By November of that year, we had decided to meet in person for my birthday. I traveled to California for a week where we really hit it off. I immediately booked another return trip near Christmas, which resulted in us finding a place to live together. By January of 2017, we drove to Texas, and a year later we were married and buying a house! Question: What are your favorite things to do together in Guild Wars 2? Glitzy: A strong interest in raiding is what really kicked things off and led to us completing all three sets of legendary armor. Next, we began finishing up old collections and achievements we had skipped which were suddenly more fun with a partner. Combined we have over 17,000 hours of play time which ranges from fractals, dungeons, map completion, WvW, world bosses, and most importantly fashion wars. It’s great to have someone to check out your new outfit and dye combo. We even take screenshots for each other to get the best angles. Question: Has anything changed for you in the past year as the game has changed? 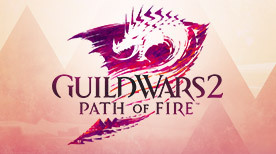 Glitzy: After I was able to host the pre-show for the Guild Wars 2: Path of Fire™ announcement, our interests shifted to the Living World story. Our discussions at dinner usually relate to in-game topics. When a new episode trailer is released, we both wait to watch it together. It’s a treat to have someone around to craft theories with. Since we’ve met, we have done every story instance side by side. Each new map released gives us hours of exploring to do as a team. Question: Tell us about an especially powerful or memorable moment you’ve had playing together over the year. Glitzy: The legendary journey of creating Chuka and Champawat! This is by far the best experience we ever had. After crafting many legendary weapons, the shortbow especially stands out as a memorable moment. 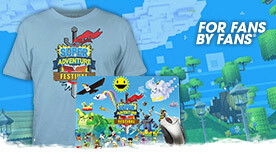 The story is captivating, the events are fun, and it’s an adventure you will not forget. We truly appreciated the amount of time developers put into this legendary collection. This journey was so enjoyable we finished it within a couple of days, always staying on the same step to experience it together. Upon completion, we took pictures to show off our accomplishment and told our friends just how great it was. 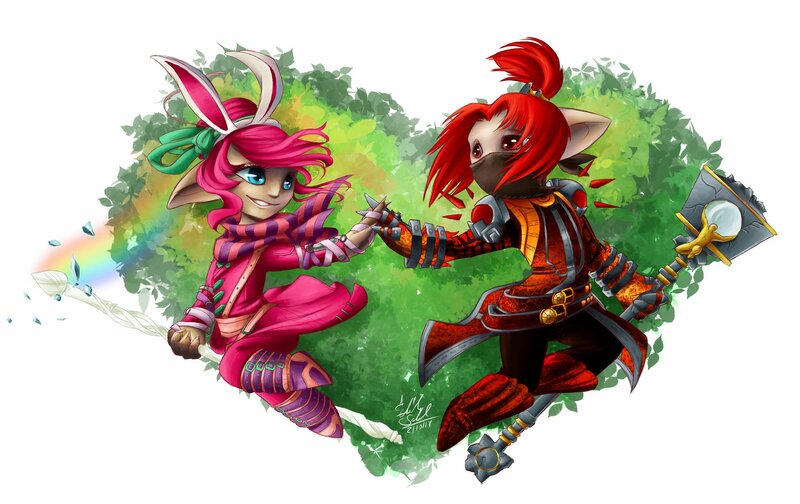 Question: How does your relationship make your time in Guild Wars 2 unique? Glitzy: For myself, I had been playing since launch primarily as a solo player. The game is unique for us now because we will forever be a party of two. It’s remarkable how much more enjoyable it is to share your adventures with someone you love. Even if we are doing completely different game modes—he could be in WvW and I could be doing a world boss—we play together in the same room so it’s as if we are constantly in a real life group. Being able to yell across the room if a precursor drops, or if one of us hits an achievement point milestone, there’s always someone to congratulate you and cheer you on. Question: Just for fun—do you have a role-playing backstory for your characters that you’d like to share? Glitzy: When we got married in March of 2018, it was done in a small office with just the two of us and the officiant. We played a piano version of “Fear Not This Night” while we said our vows. It was wonderfully enchanting. Although we don’t role-play in game, our characters do resonate with us. Later that evening we logged into Guild Wars 2 and had the same ceremony with our two main characters. At the Deverol Gardens in Lions Arch, we stood across each other and said a few words, having our love come full circle thanks to the game that created it all. Thank you to Glitzy and Cameron for being part of our Friend/Ships celebration!